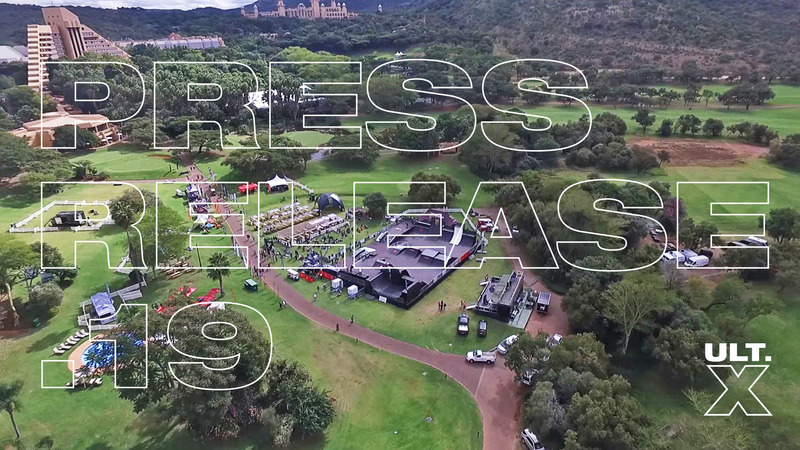 Ultimate.X has again responded, by accepting Sun International’s invitation to host the biggest action sports event on the African continent at the iconic Sun City Resort, from 15 -17th march 2019 in its year XI – Sun City compares to no where else Globally & lends itself to what ULT.X is all about .. The best African Action Sport Athletes will pit their skills against the likes of X Games competitors, Kyle Baldock (BMX) Tomas Vintr (Skate) and Brayden Davies (FMX), whilst blowing minds in this adrenaline charged spectacle. There will be a 80 player strong field, hosted at the Lost City Golf course on Sat 16th March for the ULT.X Golf day, presented by Monster Energy Hydro. “Olympics 2020, you see this smile on my face right? Skateboarding being in the Olympics makes it that much bigger. “ULT.X is a huge opportunity for local Skaters and BMX riders to test their skills against the best international talent and get a feel of what there chances are in the Olympics. We’re building a circuit of events so that as many guys and girls who share the Olympic dream have a shot at making it come true”. In 2019, THE BUSH IS OUR STADIUM with DESTINATION X – Experience some of the worlds best Action Sports, LIVE while soaking in the beauty, adrenaline and luxury of the Pilanesberg & the iconic Sun City Resort. The area provides endless wonder, with Hot air ballooning , Big game safaris , Zip line canopy tours , Cultural immersion experiences and 2 world class Golf courses. FOLLOW THE SUN to the Ultimate Experience !